Will Universal Credit Replace Basic Income? Finland announced that it is stopping their trial of the Universal Basic Income (UBI) program at the end of 2018. They are looking into alternative welfare schemes including the Universal Credit model. Read how the current Universal Basic Income trials are falling short of holding society-changing potential. 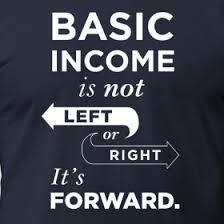 Is Basic Income being setup to fail? The United Kingdom introduced a Universal Credit program in 2013, However, a recent article in the Economist suggests that the roll-out is not going well. The BC Government released the What We Heard report from the community consultations they held earlier in 2018 to gather input in creating their poverty reduction strategy. They also announced they would study the feasibility of basic income for all residents. Make good on housing commitment! The federal Liberal government needs to make good on its promise to declare housing a "fundamental human right" under Canadian law as part of its forthcoming national housing strategy. Sign the open letter to the Prime Minister calling for a legislated right to housing in Canada. Today, over 1.7 million Canadian households are living in unsafe, unsuitable or unaffordable housing without better options available to them. 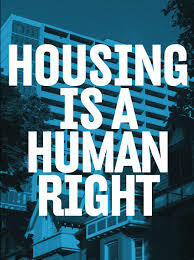 Widespread homelessness and lack of access to adequate housing, in so affluent a country as Canada is a critical human rights issue facing all levels of government. Did you know that Canada made a commitment under the 2030 Agenda for Sustainable Development to eliminate homelessness by 2030? Also, what we heard from the federal government's consultation process over the past few months indicates consensus that legislation must explicitly recognize the right to housing. Draft legislation has been developed by civil society and experts outlining key points for the legislation. This is the first time that legislation implementing the right to housing has been contemplated in Canada and it is critical that it be done right. Let us know what you think. Please comment. Read more. And the Rich Get Richer?! Wealth inequality is growing in Canada and in the US. But our political parties seem not to notice, are they on the take? Last week the Canadian Centre for Policy Alternatives published a great analysis of the wealth concentration in Canada. In BORN TO WIN, David Macdonald reviews the census data to clearly show how our tax system, public investment strategies, and regulatory efforts serve the rich very well. He note in the introduction that over the 17 year period ending in 2016 the 87 wealthiest families in Canada saw their wealth grow by 37%, more than twice the rate at which was experienced for middle class families. American academic Karen Petrou is raising the same issues south of the border, this interview in Bloomberg is great, laying the groundwork for her new book to be published early next year. She is a harsh critic of both the way banks have been regulated and monetary policies - to the disadvantage of the many. Both of these arguments clearly outline a problem that is bigger than 'windfalls' that benefit some home owners. Housing affordability and precarious employment are a consequence of public policy decisions, that systemically favour the wealthy. 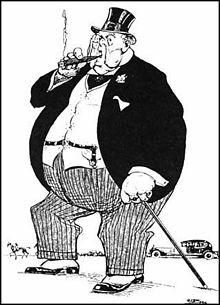 As Macdonald states, "... in general Canada’s tax system is set up to encourage concentration of wealth at the very top."